Published on Fine Dining Lovers. 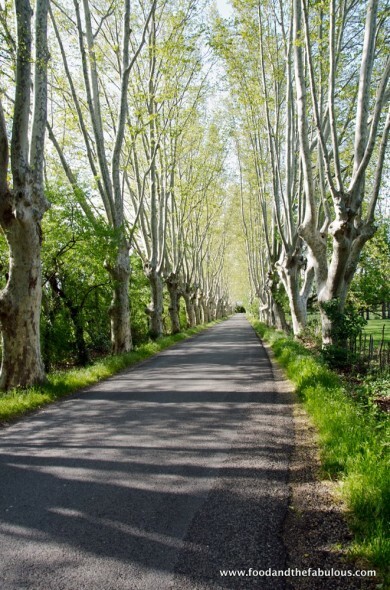 The afternoon light dappled in gold flecks, filters through the newly-green leaves on the trees lining the road known as ‘la petite route de Maillanne’ heading back into Saint-Rémy-de-Provence. We’re parked on the verge and I hop out to capture that image that has inspired so many painters over the years. The spring mistral winds have abated for the moment. 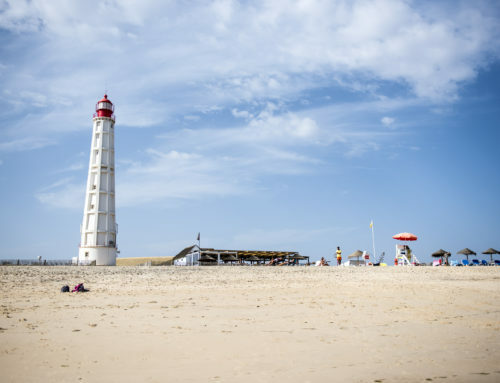 This is the town that Van Gogh spent time convalescing in and in spite of his great difficulties, produced an estimated 150 paintings, including The Starry Night. 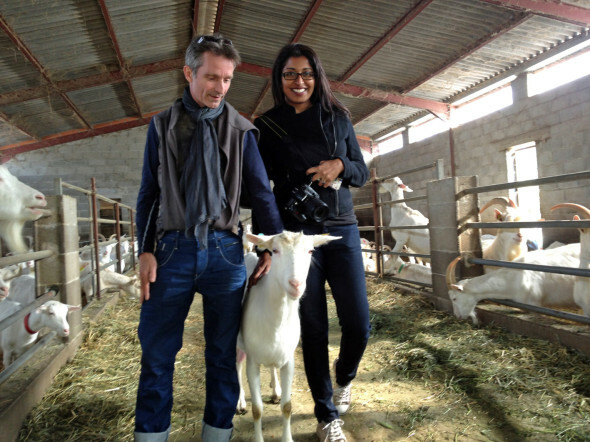 We spend a few days with Philippe Goninet, who has been residing in the town for 15 years and and the charms of Saint-Rémy-de-Provence unfold in the smart shops and patisseries, the tree-shaded restaurants, the pizza truck in the town square, the wineries and nearby farms and in the many personalities we encounter. 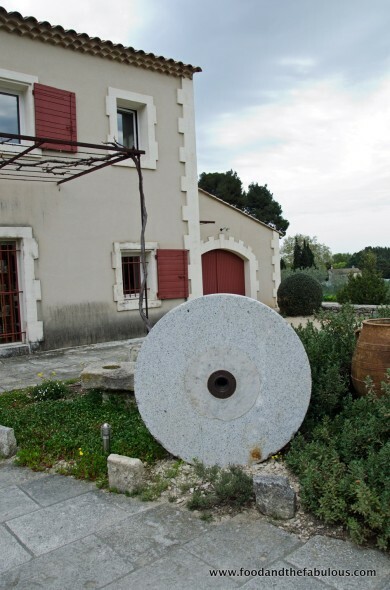 Moulin du Calanquet is the only mill pressing olive oil in the town and is run by a gutsy brother-sister duo Gilles and Anne Brun, who are the fifth generation hailing from a line of farmers. Despite the 40 year lag in olive oil production due to fires that destroyed the trees, they have started from scratch, planting traditional Alpilles olive varietals such as Grossane, Picholine, Aglandau, Salonenque and the hardy Verdale des Bouches du Rhône. We visit the mill and learn about production, sampling the oils, pistou and jam. Modern metal bottles keep the oils fresh and are much lighter to transport back home. At first glance the tribal masks and hanging sculptures erected within an enormous rose garden confuse the senses. The miniature Noah’s arc and phallic symbolism do not spell ‘sweet Provençal garden’. In steps Philippe Michelot, an artist and philosopher, with unruly locks, a swarthy build and a tremendous laugh. 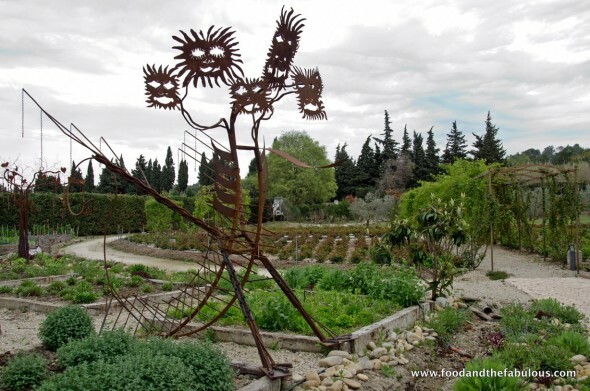 He shows us around the garden of Mas des figues. The farm houses a beautifully furnished gîte or guesthouse and private coking lessons for as little as two people can be arranged. Philippe and his wife Anne Marie take participants into the garden to pick produce for the lesson. The marinated olives we try from a large barrel have been made by Philippe in the old fashioned way – by leaving them to wash in the rain for weeks before salting and spicing. They are truly sublime. Christian Peyre is the chef and owner of the 1 star michelin La Maison Domaine de Bournissac, which is also a rustic but charming hotel tucked less than10 minutes outside Saint-Rémy. 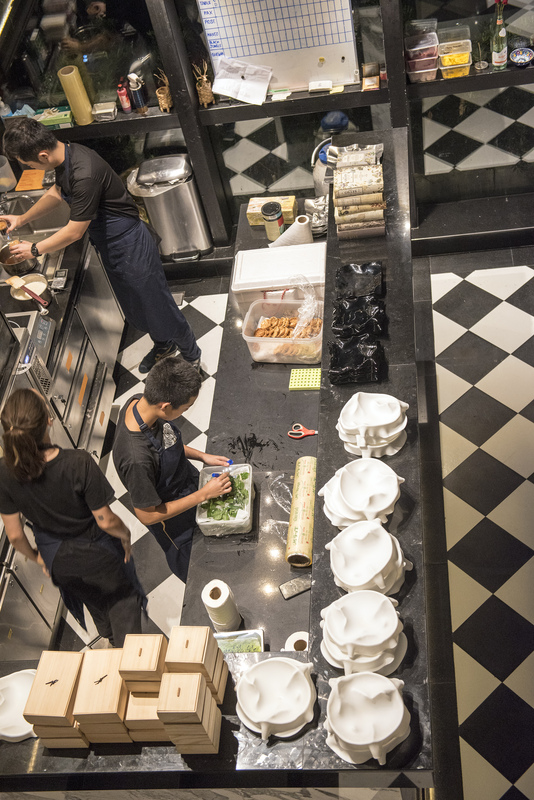 The set menus at the restaurant, with its smart farm-style dining room and outdoor terrace, are terrific value. We happened to arrive on Friday which is the day bouillabaisse is served. The portions are generous and food is excellent. Wine is included in the bill. 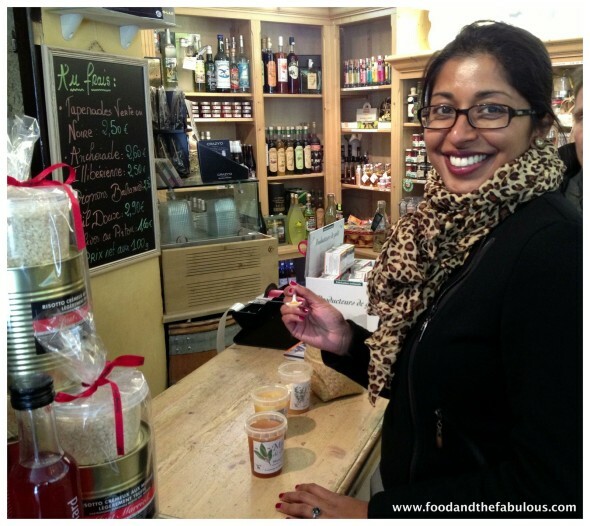 Back in town we visit Le Petit duc, a shop that makes and sells a range of traditional sweets and French biscuits dating through the centuries. We make a huge batch of traditional almond nougat with young pâtissier Aurelien who keeps the samples of sweets and treats in constant flow. Marie who is front of house feels their calisson rivals the best. The large variety of confiture, biscuits and honey at la Roumaniere in nearby Robin are made under direction of a group supporting and empowering disabled people in the community and you’re able to watch how they are made at the small factory. The jams come in wonderful flavours, not just plain old strawberry or apricot. The dinky jar sizes means you can bring one for everyone who likes jam on toast at home. 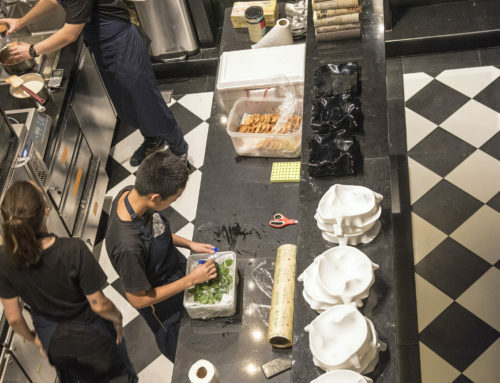 He may not have the a spot on the swanky main street, but Olivier Sauvageau, a seasoned pâtissier runs his mini lab and soon to be private baking class, Olivier Le Pâtissier with great flair. He is very popular and his creations would please the Queen of Hearts from Alice of Wonderland, one feels. Off-beat and testing the norms of Parisian symmetry in baked goods. We taste freshly baked meringues, mille-feuille with new-season strawberries and he kindly sells me a bag of Cacao Barry chocolate chips. You will be greeted by a sugar coated bust and a macron the size of two grown men’s heads when you enter. 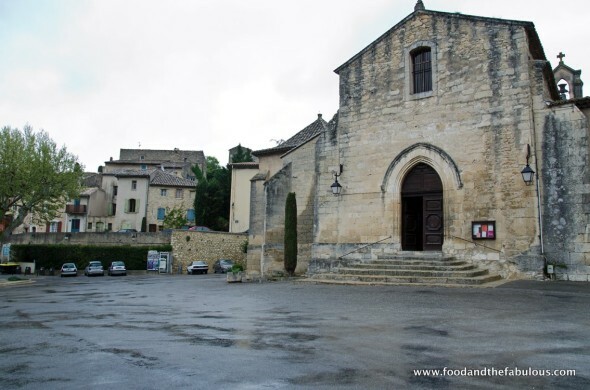 There are various shops and supermarkets to pick ingredients from in Saint-Rémy and Entre Sel et Terres is one of the best – it’s small, beautifully set-up and contains a selection of nuts, honeys, legumes, salts, organic and health ingredients. If you enjoy honey, you can do a lovely tasting here and take some home. 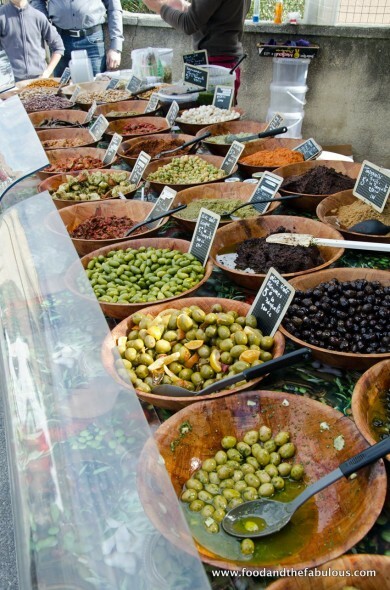 Ask for the Provençal almonds – they’re not always easy to find. The cellar at Chateau Romanin is carved into the Alpilles Mountain and is cathedral-like in it’s appearance. There is little chance you won’t like the wines, but if anything the architectural splendour of the place makes it quite special. Tastings here are slick and professional. 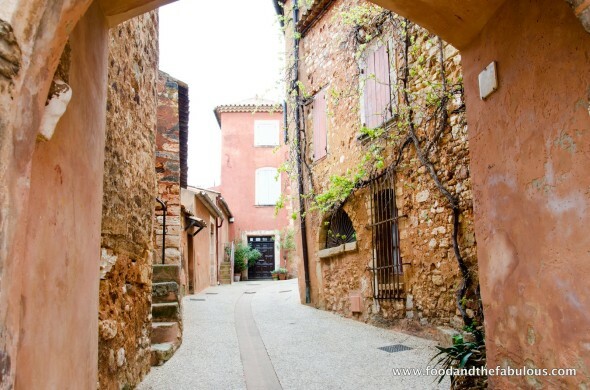 Do make time to visit the nearby towns of Roussillon, Gordes and Arles . There are a large number of restaurants and bistros in the town so you are not without choice. * Pizza truck in town square in any of the towns in the South of France is a must try, either for a slice or a whole pizza. The locals love them. Beautiful outdoor seating when it’s sunny. Set menu for lunch, under 14 euro when we visited. 1. Please share your best high and low-end dining spots with us. 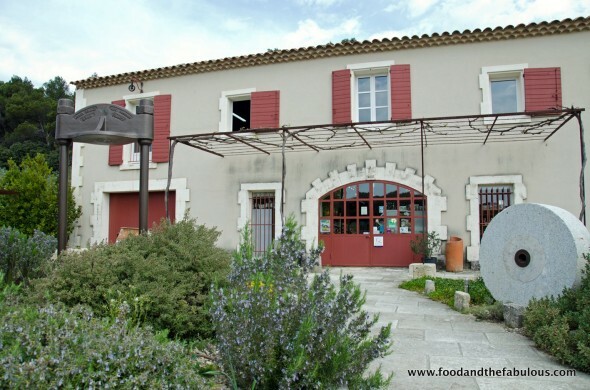 Low end : The Bar des Alpilles for its fresh plat du jour & café gourmand at 11.90 euro. 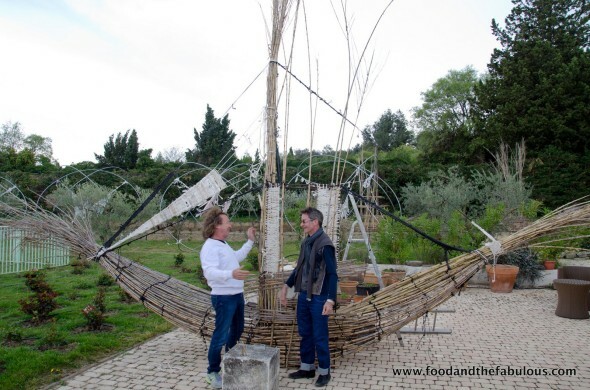 High end : The Mas de l’Amarine for its location (an old mas with a twist, Alice’s smile, the terrasse and its view over the Alpilles and its food… Expect 70€ per person, including wine. 2. Best bakery for bread in town? 3. What’s the typical thing so make for friends at home over the weekend? 4. Which bar do you enjoy meeting friends at and why? 5. 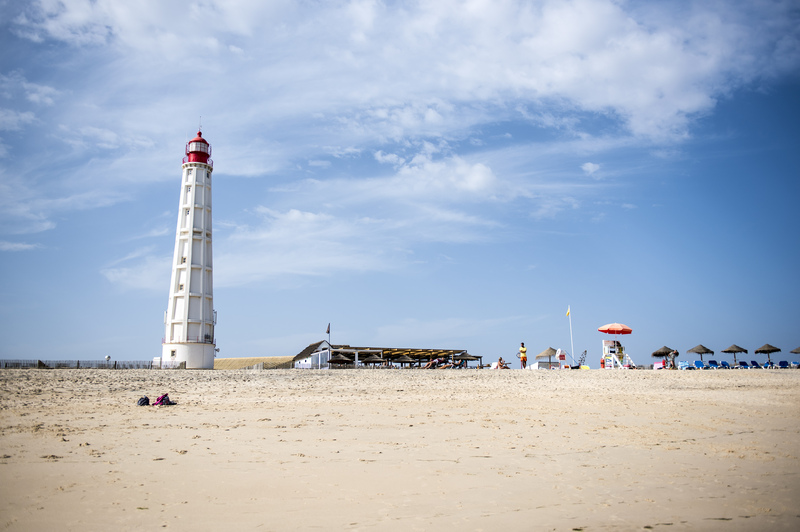 Best weekend break destination outside St Remy? Cassis for its out of this world Calanques (fjord) and its lively feel. 6. What are your budget and luxe picks for accommodation in the city? 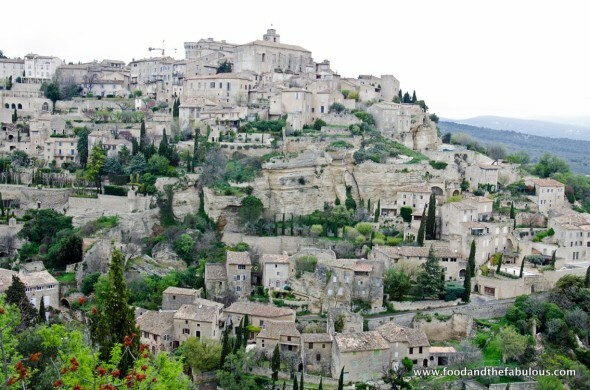 Budget : Castellet des Alpilles. Home run little 3 star (no pool….) at really good rates. 7. What one activity should vistors to St Remy not miss? The St Paul Hospital where van Gogh spent the last year of his life. Just for the vibe. This is making me homesick… sigh! 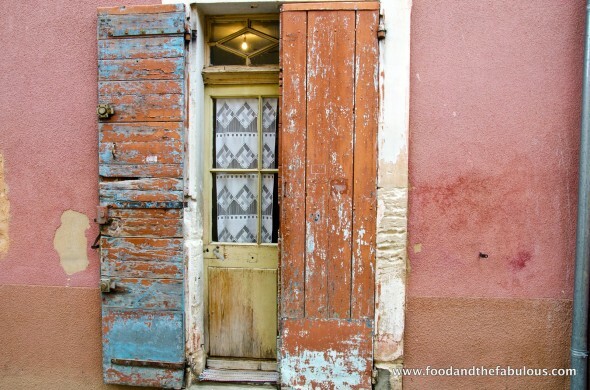 We made St. Remy our base for our lavender hunt throughout Provence last June. We loved it! I bet you have some gorgeous images from that trip!